People need to experience electric transportation on their own, something which is true for drivers of both battery and fuel cell cars. At least an adequate number of purely battery-driven vehicles have already made it onto the public roads in Germany. But how can people today gather their own personal experiences of driving fuel cell vehicles? Ordinary citizens will only have the chance to be allowed to take a short test drive during an industry trade show. David Wenger from automotive supplier Wenger Engineering was given the opportunity to lease and test a fuel cell car for two years. H2-international spoke with him about his experiences. A lot has been accomplished with hydrogen cars: They were driven toward world records in top speed, used for a 30,000 kilometer ride around the globe, and tested for day-to-day use during numerous demonstration projects. But either the company-own engineering staff came along for the trip or they at least stood ready in the background to be called upon and take over the steering wheel or control of the car. The only “customers” who have so far been able to test the most recent fuel cell models – temporarily – were actors and actresses or politicians, and they had the necessary technical support staff stand by as well. 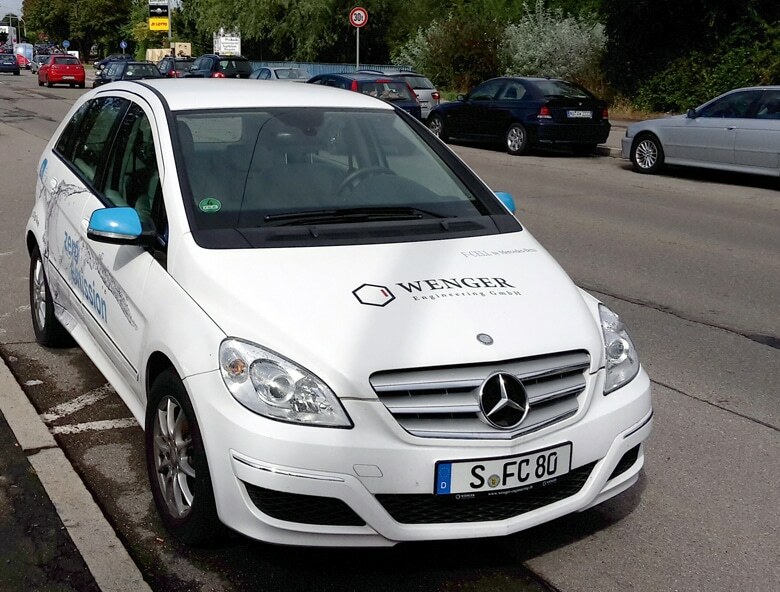 David Wenger was one of the first “regular” German customers who had leased, meaning who had actually been able to rent a fuel cell car for two years, and had tested it on public roads instead of taking it out once in a while for a short spin during a demonstration project. In a long conversation with H2-international, the managing director of a 19-employee SME told us about his experiences. What happened? Why broken dreams despite a technology that works and a driver’s obvious enthusiasm for fuel cells? “I remember that we once had a business appointment about 300 kilometers away. We were going to meet in the office at 5:45 a.m. At five in the morning, I received a text message from my employee: ’Sorry, I’m running late. The station doesn’t work. I need to drive to another one.’ I checked the map of H2 filling stations: green (operational). So what happened?